Our Norwegian National Day Dinner will be held on May 17th at the Royal Scots Club, Edinburgh. Details to follow. 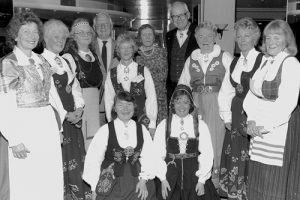 Syttende mai (17th May) – What’s it all about? Join us to celebrate the signing of the Constitution – Norges Grunnlov – which formalised the dissolution of union with Denmark, and ensured that the Kingdom of Norway, as a ‘free, independent, indivisible and inalienable Realm’ exist as a democratic state based on the rule of law and human rights. In 2014 (the 200th anniversary) we raised a wee dram to the achievement and Scottish descent of that most famous of Eidsvoll signatories, Wilhelm Frimann Koren Christie. 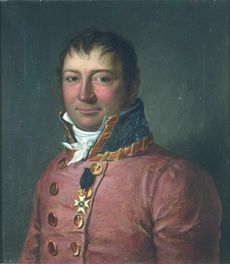 WFK Christie (b1778), whose statue stands in the centre of Bergen – the Hansa trading town where his Montrose ancestors settled – was Permanent Secretary to the Assembly during its deliberations on the Constitution. Quick of mind and quiet in his consideration of difficult issues raised in debate, he was lauded for his statesmanlike gravitas and courage. For those of you joining us for our celebratory Dinner, we look forward to seeing you! And for a day of family fun, don’t forget to join the Parade, starting (at the one o’clock gun) – when the pigeons fly! (Further details from NORSA).